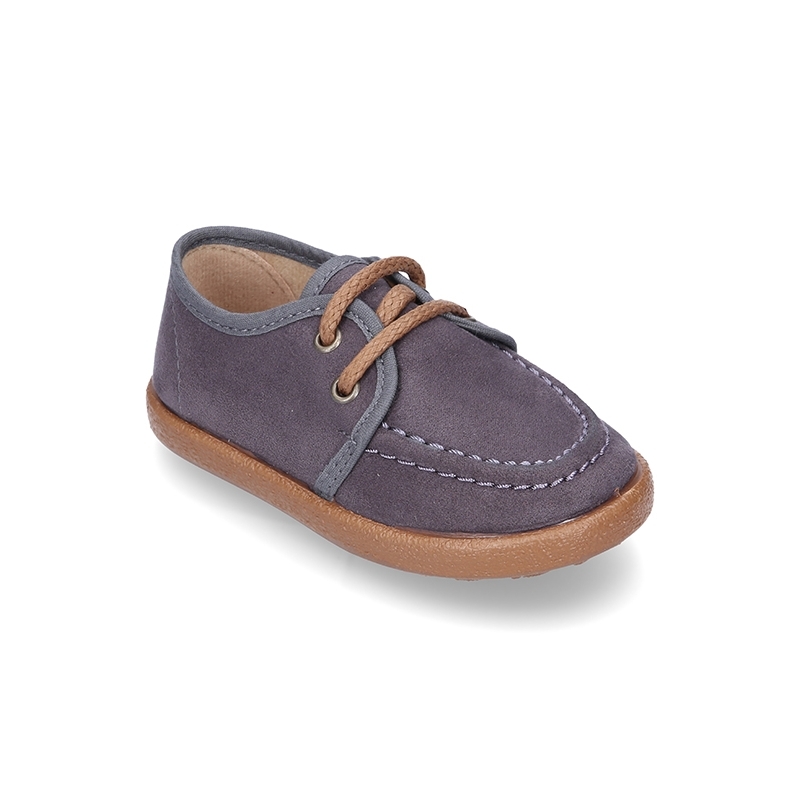 Okaaspain, tienda online de mocasines tipo náuticos tipo wallabi en serratex con cordones. 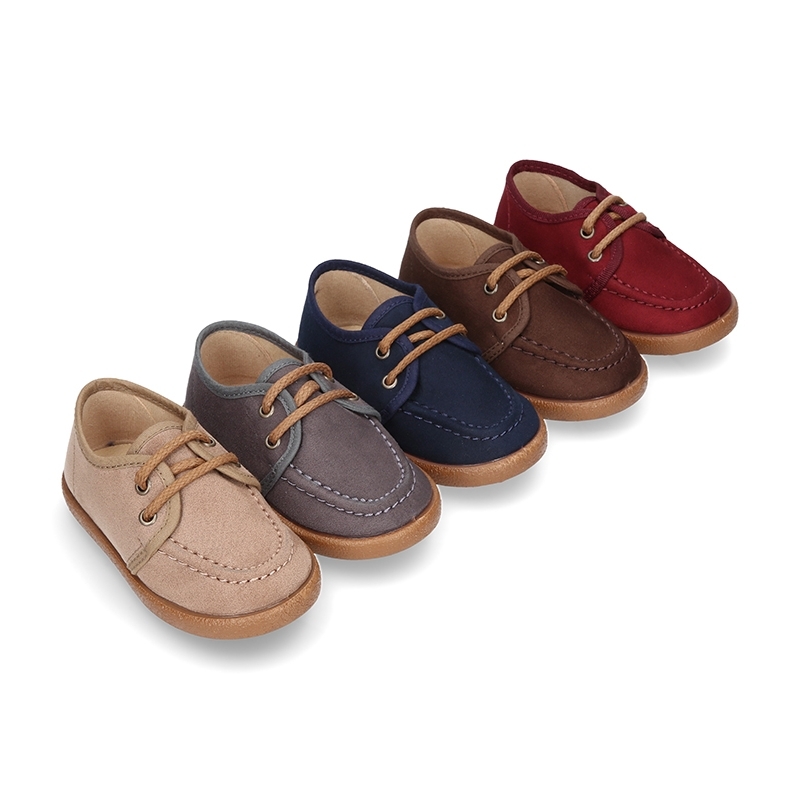 > First Steps>Boat Shoes>Autumn winter canvas moccasin shoes wallabee style. 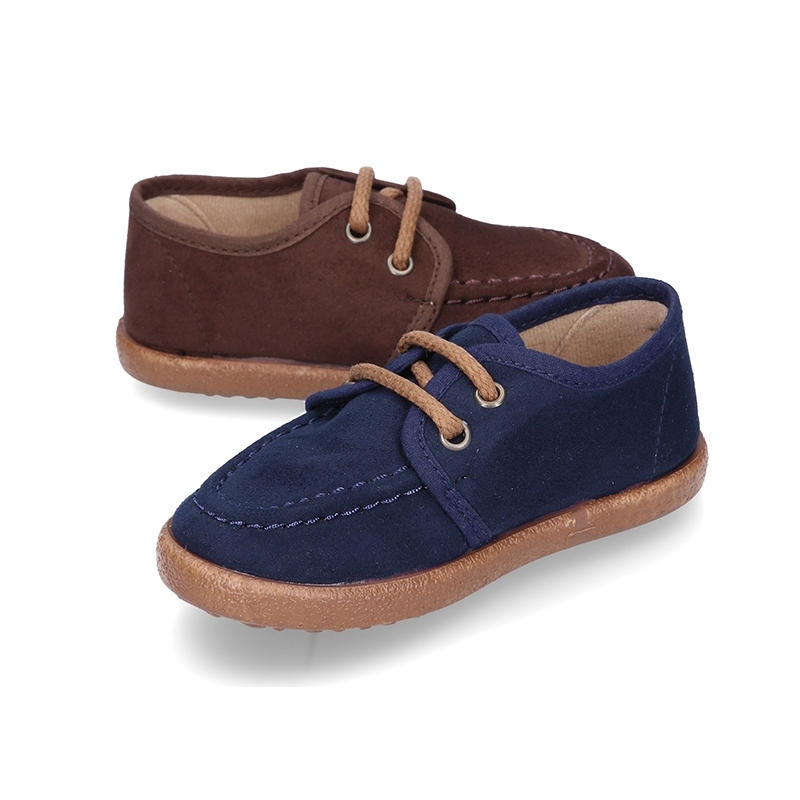 Autumn winter canvas moccasin shoes wallabee style. 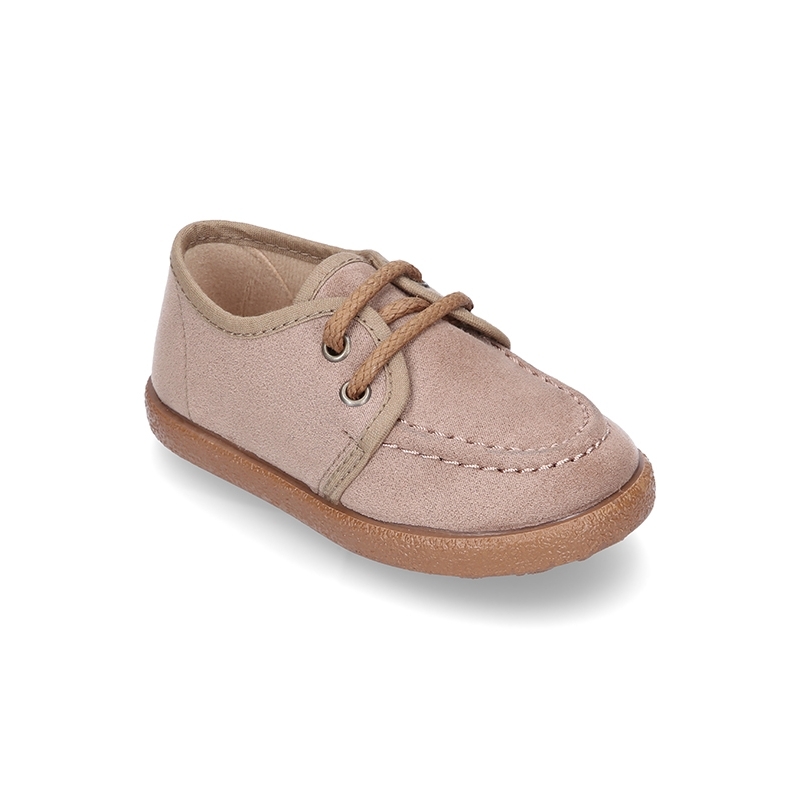 Autumn winter canvas Moccasin shoes wallabee style with ties closure for kids. 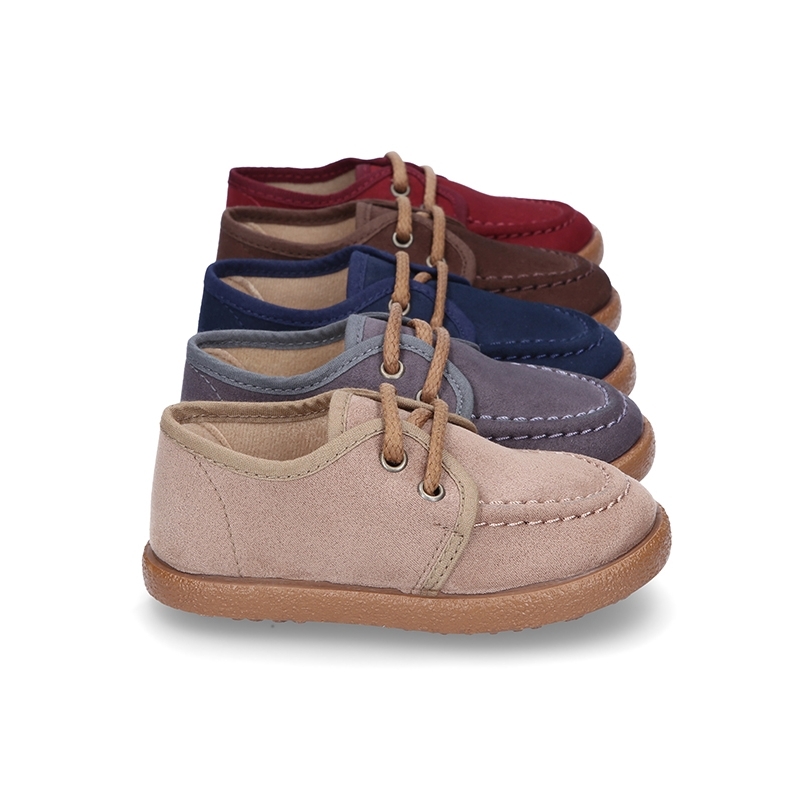 More info about Autumn winter canvas moccasin shoes wallabee style. 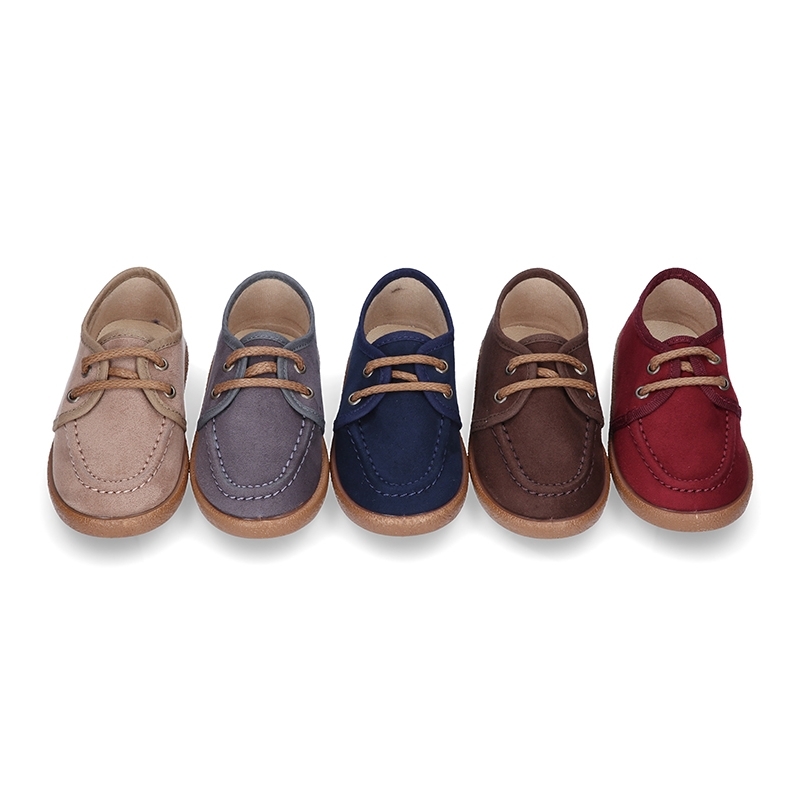 Autumn winter canvas Moccasin nautical style shoes with ties closure for kids. 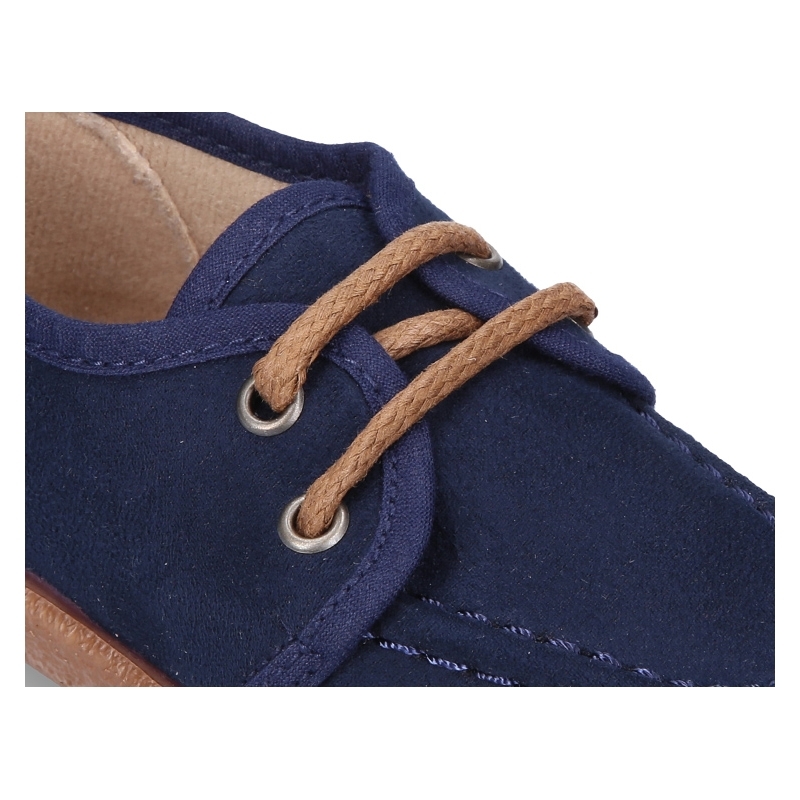 Made up of 100% Natural canvas for Autumn winter with high quality finishes, totally padded for colder seasons. 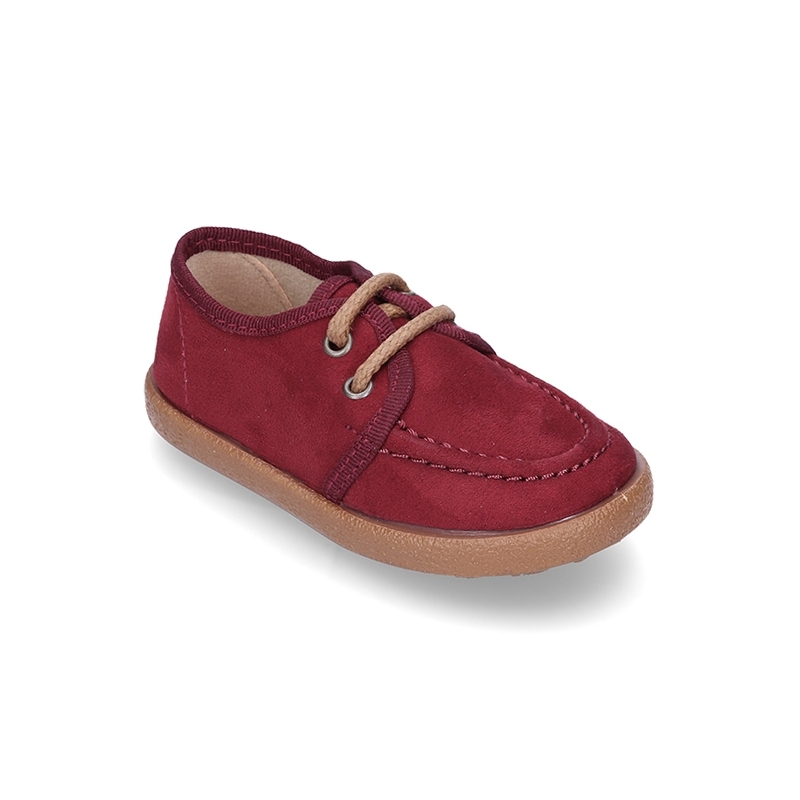 Very practical, comfortable and fits with every garment this autumn- winter. It´s as new and different model. 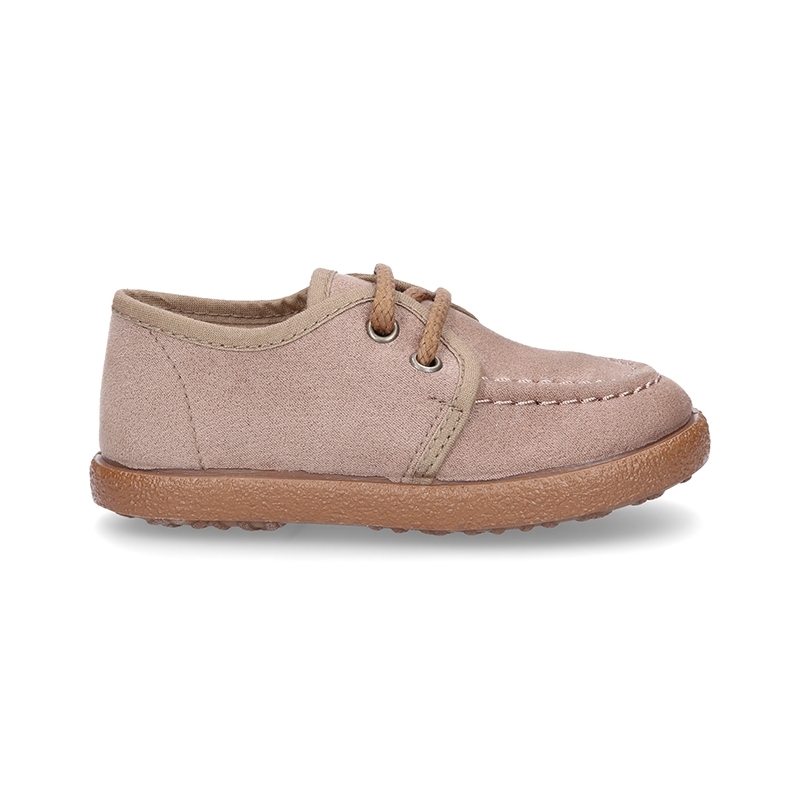 Wallabee style it´s very trendy this season in all kids collections. 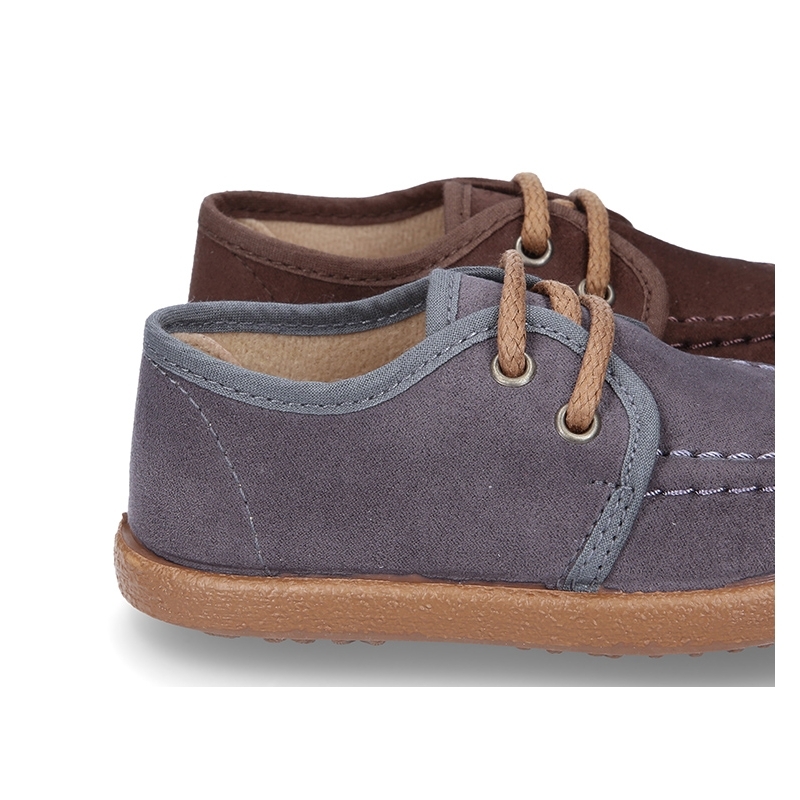 It´s a very elegant model perfect to mix and match with all their garments this season. 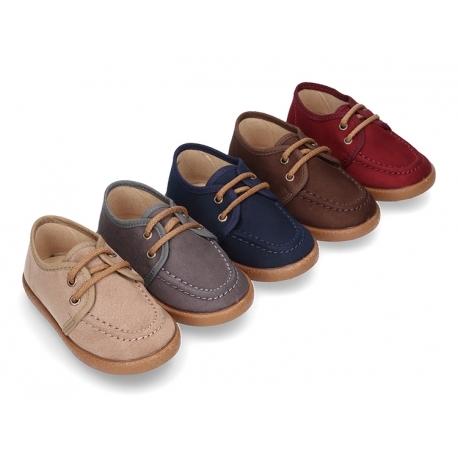 Full lined, edged and padded footbed for a better comfort. 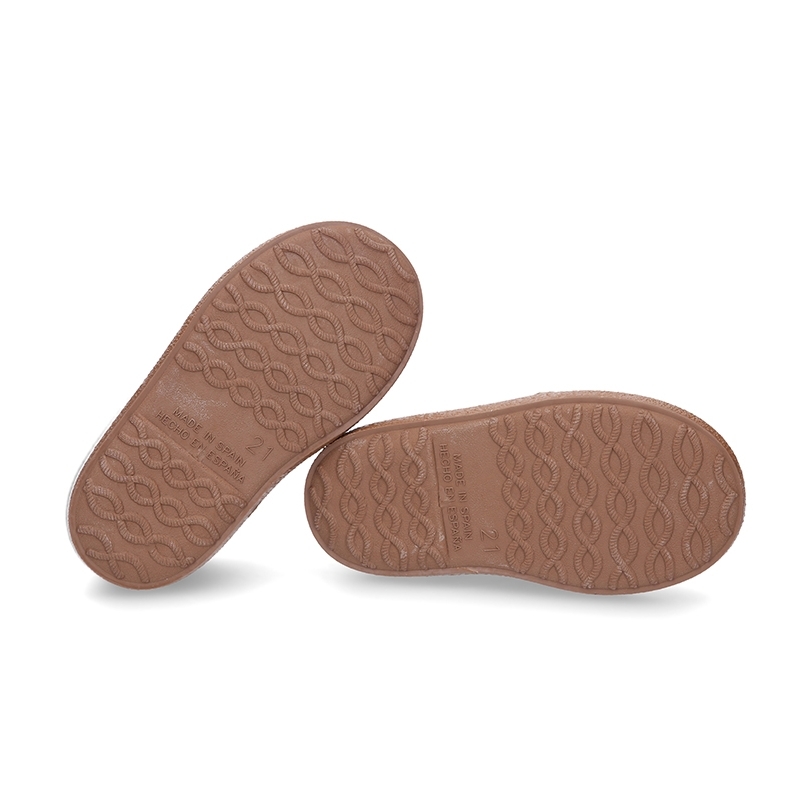 Outsole made up non-slip of high quality rubber in caramel color which is totally flexible in order they can learn to walk without problems. Available in 5 colors. 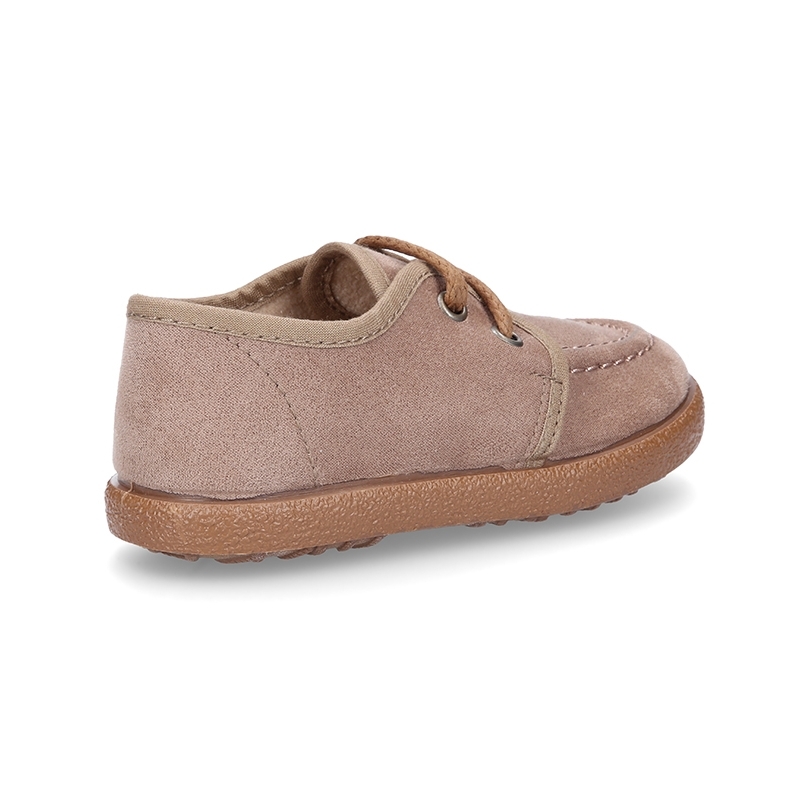 Range of sizes, from 19 Euro size up to 34 Euro size. 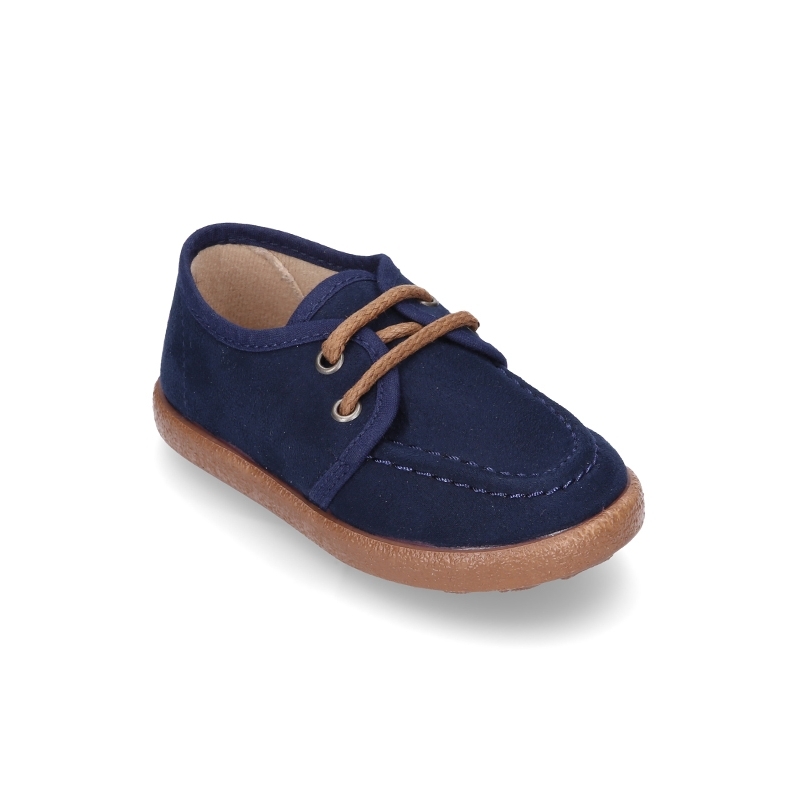 SIZING REGULAR. 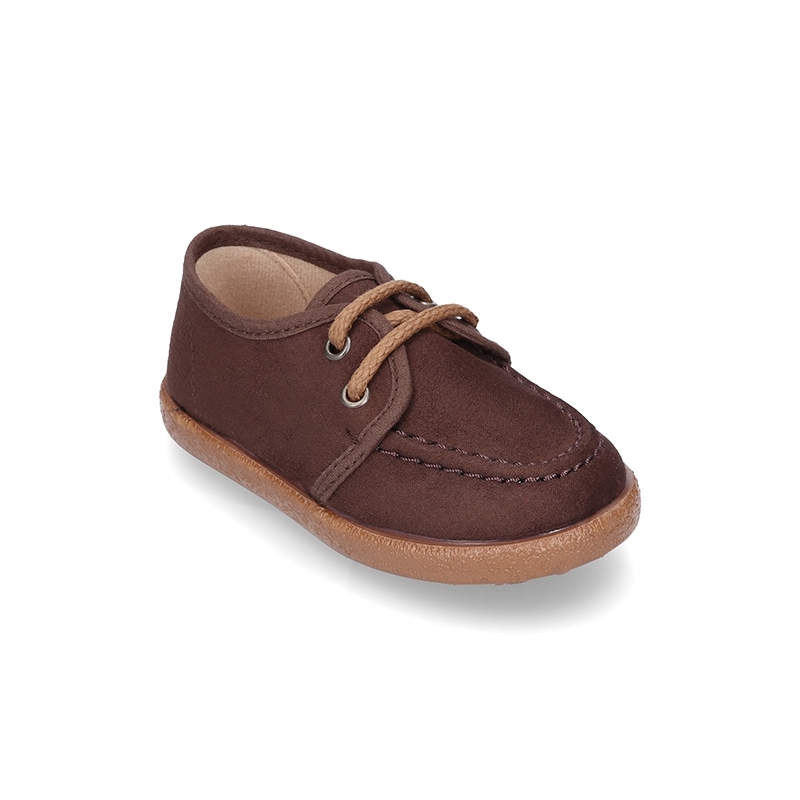 Data sheet about Autumn winter canvas moccasin shoes wallabee style. 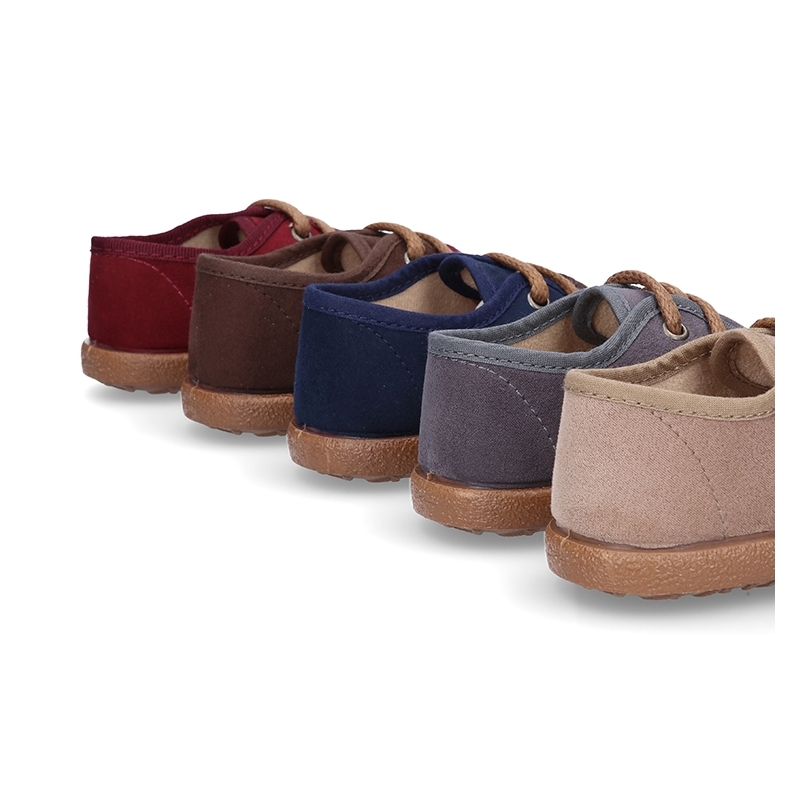 Medidas sobre Autumn winter canvas moccasin shoes wallabee style. 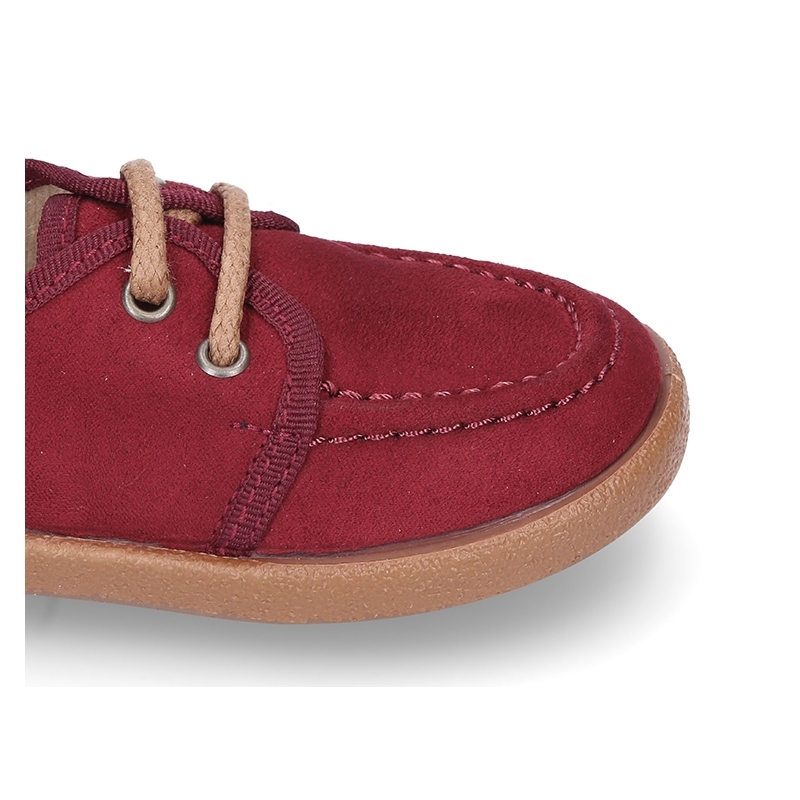 Hola, veo que ahora mismo no tenéis mucha disponibilidad y me gustaría comprarlas en color marino en el número 31 y 33, el año pasado se las compré y me encantan, pero se han quedado pequeñas, vais ha tener más?